Today's article from our friends at Picture Correct gives an in depth look into the very basics of exposure control in your camera. It is written by Richard French who has been a photographer for over 20 years. Many of his images can be seen on his smugmug site and he also shoots stock photography for Fotolia. He also has images in several galleries in his local area. Your camera is actually nothing more than a box with a hole in it. Yes, all that money you’ve spent and that is basically what you’ve got. The basics of a camera have changed very little since day one. You have a box with a hole in it and you control how much light is allowed into it. The best part about newer cameras is that they can think for you. They meter a scene and adjust the settings. These settings are simply the shutter and the aperture. You simply have to compose the shot and push a button. This works well for the most part. But, you didn’t spend all of that money to allow the camera to do all of the work for you, did you?...............Follow this link to read the full article. In the article Richard talks about ISO and Shutter Speed. The following two images of mine from Rome are both taken at a shutter speed of 1/80 but the first taken indoors where I couldn't use a tripod or flash, so I boosted the ISO to 5000, while the second was taken in bright sunlight so I was able to use the recommended ISO of 100. 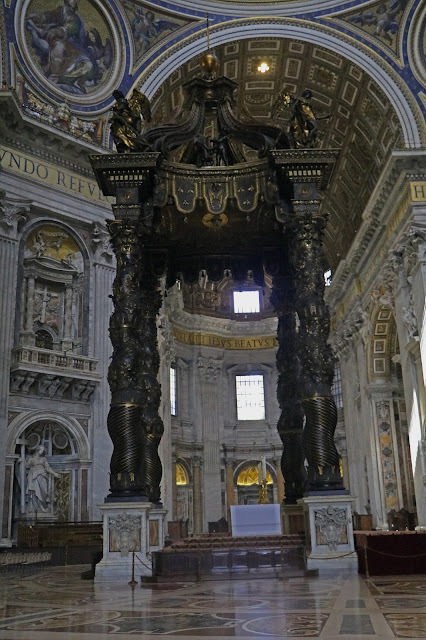 St. Peter's Baldachin (Italian: Baldacchino di San Pietro) is a large Baroque sculpted bronze canopy, technically called a ciborium or baldachin, over the high altar of St. Peter's Basilica in the Vatican City. The baldachin is at the centre of the crossing and directly under the dome of the basilica. Designed by the Italian artist Gian Lorenzo Bernini, it was intended to mark, in a monumental way, the place of Saint Peter's tomb underneath. Under its canopy is the high altar of the basilica. Commissioned by Pope Urban VIII, the work began in 1623 and ended in 1634. The baldachin acts as a visual focus within the basilica; it itself is a very large structure and forms a visual mediation between the enormous scale of the building and the human scale of the people officiating at the religious ceremonies at the papal altar beneath its canopy. 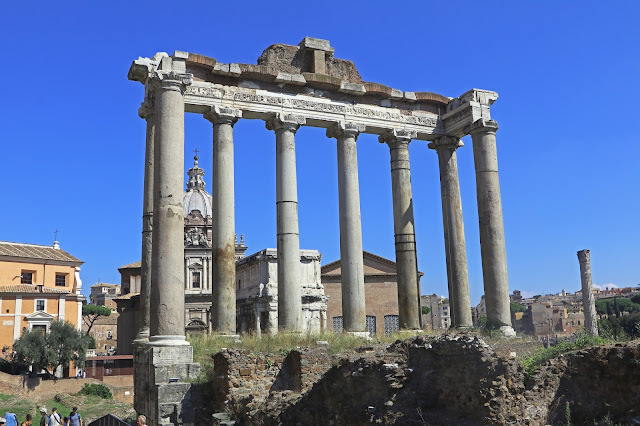 The Temple of Saturn has eight surviving columns and was built in 42 BC. The older temple dated from 497 BC but the ruins are from 42 BC. Saturn was regarded as the god-king of Italy and every year at the end of December the Romans celebrated Saturn with the festival called Saturnalia. During the holidays the Romans couldn’t declare war or punish prisoners and the aristocrats would eat and drink with their slaves. 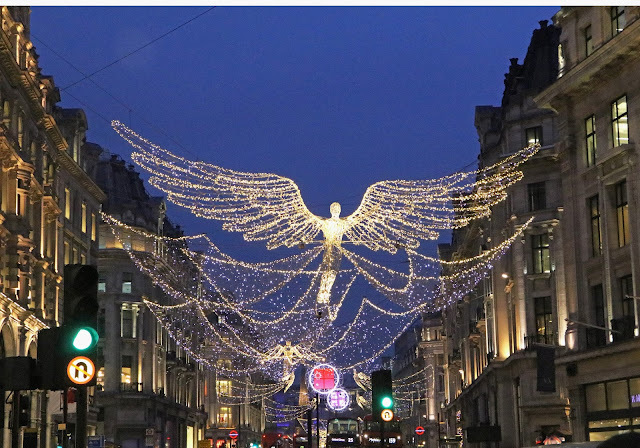 Took a trip down to London yesterday to see the Christmas Lights. Here are a few photos showing the variety of lights and decorations. 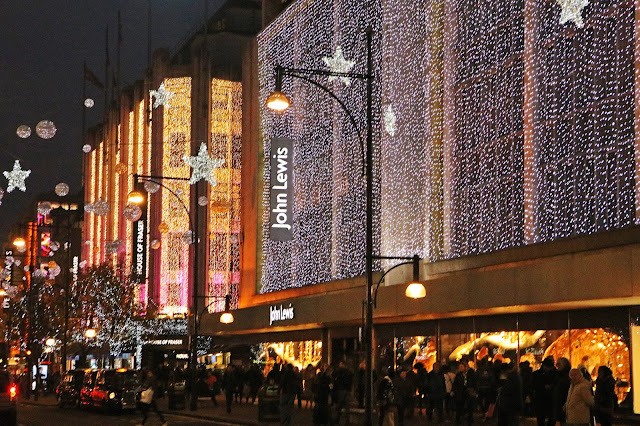 The John Lewis store in Oxford Street, London, lit up for Christmas. 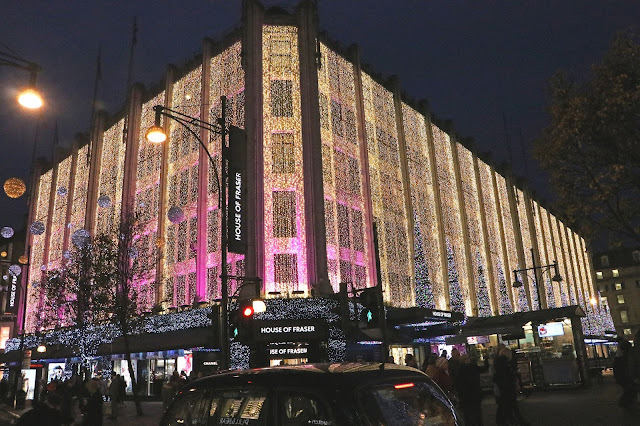 The House of Fraser store on Oxford Street, London, lit up for Christmas. 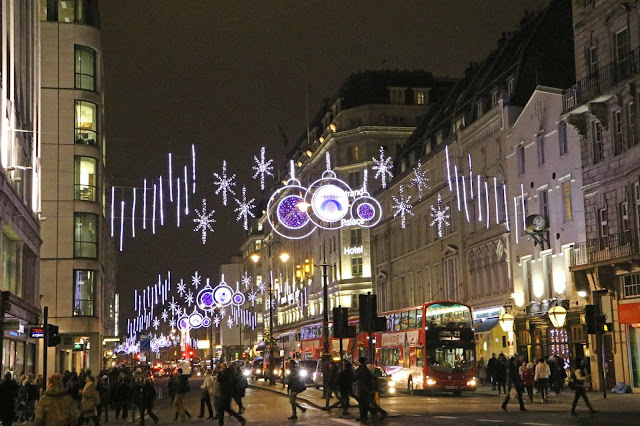 Christmas decorations along The Strand, London. 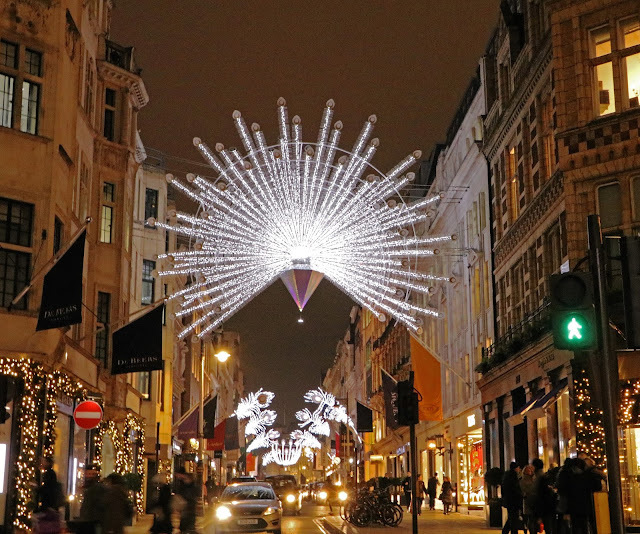 Decorations in Old Bond Street, London. 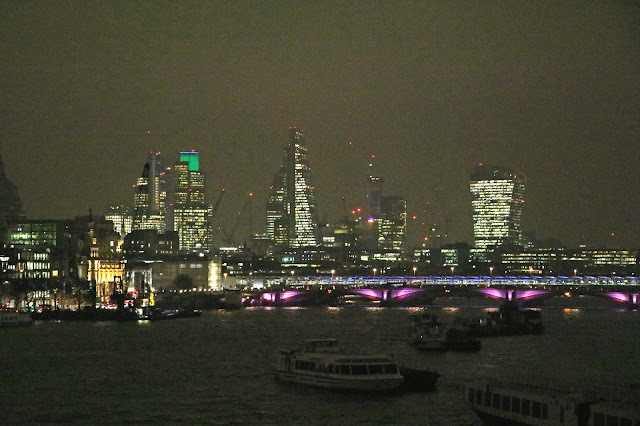 The City of London at night, as seen from Waterloo Bridge. Todays article from our friends over at Picture Correct is written by David Tong, who is a freelance photographer, blogger, and writer providing quality and free photography-related tutorials, camera reviews, and Adobe Photoshop tips through his blog and workshops. The article provides an interesting insite into David's photography and has several interesting comments from readers of the article, explaining why the writer enjoys photography. It’s a simple question. Why am I taking pictures? What’s so special about photography compared to other visual art forms? I’m not writing this to give you an answer, but I’m sharing why I love what photography does for me and why I think it’s such a great hobby to integrate into my life, which also resulted to me starting a photography blog site. WHY PHOTOGRAPHY MEANS A LOT TO ME. As I share my personal reasons to these questions and I’d like to encourage you to add yours in the commenting section as well. Feel free to add a link to your blog or gallery for everyone to enjoy as well. I’m sure everybody has a GREAT story to tell...... To read David's story follow this link to Picture Correct. From a personal point of view, my first camera was a Brownie Box camera my father gave me when I was about 15 (giving away my age there!) and although I had various cameras since then and took lots of photos on holidays or family events, I did not take it up as a serious hobby in 2010 prior to going on safari to Kenya in the February, and while it is still very much a hobby, I have have been lucky enough to have photographs published in the national and international press including the UK, France and Australia as well in the local press, and I am pleased to show a few of them below. This was the first photo that I ever had published. It is of three giraffes photographed while on safari in Kenya. In January 2013 this photo was a finalist in the "Wanderlust Travel Photo of the Year" in the Wildlife section. It has also been published in the national press in the UK and Australia as well as several publications throughout the world. A night shot of Windsor Guildhall, also known as the Town Hall, showing the light trails of a passing bus. Close to Windsor Castle, the Guildhall was designed by Sir Christopher Wren and finished in 1689. The Guildhall was the venue for the civil wedding of Prince Charles and Camilla Parker-Bowles on 9th April 2005. A black backed jackal in the Serengeti, Tanzania. A nighttime view of the Hungarian Parliament Building in Budapest. The light spots above the building are either birds or bats. Ludlow Castle, Shropshire, England, showing the Great Hall and the Chapel of St Mary Magdalene with its circular Nave. Today we have an interesting look at the use of patterns in photography, written by Wayne Turner, who has been teaching photography for 25 years and has written three books on the subject. He has also produced 21 Steps to Perfect Photos; a program of learner-based training using outcomes based education. Patterns can be found everywhere in our world, from natural forms to our urban and industrial environments. Use them effectively in an image and you’ll create a photo that is dynamic and attracts the eye to the main subject or focal point. It will help you learn digital photography in interesting ways. There are two ways to look at patterns. Take a bird’s eye view and look down on say a car park where you’ll see predictable rows of vehicles. Then the other way is to get in closer and look for not so obvious patterns like tire treads and grill patterns. If you really want to be successful in shooting a pattern make sure that you fill the whole frame so that the pattern extends form edge to edge. So what are the most effective ways to use patterns in your photography? Here are a few ways.......follow this link to read the full article on Picture Correct. Here are a few examples of where I have used patterns in my own photography. The Library of Birmingham is situated on the west side of the city centre at Centenary Square, beside the Birmingham Rep (to which it connects, and with which it shares some facilities) and Baskerville House. The Spiral Staircase in the Vatican Museum, with a Christmas Tree at the bottom. It was designed by Giuseppe Momo in 1932. It is shaped like a double helix, made of two intertwined spirals; one leading down and the other upwards. Blackpool is a popular seaside resort in Lancashire, on the Irish Sea coast of England. It is best known for Blackpool Pleasure Beach, an old-school amusement park with vintage wooden roller coasters as well as the UK’s tallest roller coaster, the Big One. The landmark Blackpool Tower was built in 1894 and visitors can go to a glass viewing platform and then up the metal staircases for a magnificent views of the town and surrounding countryside.In the autumn thousands of visitors go to see the famous Blackpool Illuminations. It also boast three piers, North, Central and South. I visited there a couple of weeks ago towards the end of the Illuminations, but the following set of images shows more natural illuminations. The following images were taken from the top of Blackpool Tower. The North Shore is the northern coastal area of Blackpool. The southern part of the Lake District can be seen on the horizon. The Comedy Carpet seen from the top of Blackpool Tower, is a celebration of comedy on an extraordinary scale. Referring to the work of more than 1,000 comedians and comedy writers, the carpet gives visual form to jokes, songs and catchphrases dating from the early days of variety to the present. It contains over 160,000 granite letters embedded into concrete, pushing the boundaries of public art and typography to their limits. Bloomfield Road Stadium, the home of Blackpool FC as seen from the top of Blackpool Tower. A view of the South pier and Pleasure Beach and The Big One Roller Coaster. Todays tips about how to capture photos of wild birds come from Picture Correct and are provided by Matt Brading who writes for GlobalEye Images, a site that lists wild bird pictures and stock bird photos. They represent some exceptional bird photographer specialists in their field. In addition to giving some excellent advice, there are also some stunning images included in the article. Capturing great wild bird photos can be challenging at times, but with good preparation, the right equipment, and a few simple tips, it can also be quite fun and rewarding. What follows are our top tips for capturing better stock wild bird photos. Know Your Venue If you’re hoping to capture some great wild bird...............to read the article in full, go over to Picture Correct. Here is a small selection of photos of birds that I have taken, which I hope you will enjoy! A European Roller in Chobe National Park, Botswana, Africa. Grey Crowned Crane seen in the Ngorongoro Crater, Tanzania. Superb Starling at Ngorongoro crater, Tanzania. Lilac Breasted Roller in Hwange National Park, Zimbabwe, Africa. Do you find yourself spending hours tweaking your portraits in Lightroom? Or are you so intimidated by all the bells and whistles that you just don’t even bother? Our friends over at Digital Photography School have launched a new Adobe Lightroom Presets pack, "101 Lightroom Portrait Presets", created by Rachel Devine. Lightroom Presets have proven to be popular with the DPS photography audience so with Rachel's help this is now their third Presets product. Rachel Devine has been honing her craft since she got her first real camera at the age of 14. A professional photographer by trade, mother of three children, author of three books and the creative mind behind photography blog, Sesame Ellis, she is never without some kind of camera in her hand. Whether you’re new to Lightroom or a seasoned professional photographer, our 101 Lightroom Portraits Presets can save you hours post processing your photos. Having suffered the same frustrations of processing photos in Lightroom, Rachel has developed a Lightroom editing system dedicated to the task of optimising portrait shots. Rachel’s Lightroom Portrait Presets pack will give you countless image-enhancing options to make your portraits say exactly what you want them to. Ideal for professionals and amateur enthusiasts alike, they deliver professional results in an instant. Save time getting your portraits looking just right. Today's article comes from Picture Correct and is written by Keith Jones, who writes for http://easybasicphotography.com. A site geared towards beginners through serious amateurs who want to learn a little more about basic digital photography. How to Use White Balance in Photography: Every digital camera has a White Balance or Automatic White Balance (AWB) setting in the camera menu. But how many of us actually use it or even know what it is for? Fortunately, most manufacturers have the Automatic White Balance pre-set in their cameras when they are shipped out. So most consumers are using it even if they are not aware of it. To read the full article go over to Picture Correct. While I usually leave my White Balance on Automatic, I was pleased with the result of the following image which I had set to the tungsten setting on the camera. Today we have an article from Picture Correct which gives an in-depth look at photographing the colours of autumn, written by Terry Girard who formerly moderated ultimate-photography-tips.com. Photographing autumn colours can be the most fun you have with your camera. The fall is a great time of year for photography. There are an unlimited number of sights, sounds and smells to stimulate your senses. After reading this article you should be able to pick a great subject to display and dress it it up with the fabulous colors of the fall season. This is a very emotional time of year. Think about that when you are out shooting. What you feel when the day is overcast will be different than when the day is bright and sunny. Here is a small selection of my autumn photos which I hope you will like. Autumn leaves at Warburgh Nature Reserve, Bix, Henley-on-Thames, Oxfordshire in The Chiltern Hills. The River Thames at Marlow, Buckinghamshire on a crisp November afternoon. Autumn leaves at Westonbirt Arboretum, Gloucestershire, England. I am delighted to announce that my photo of the Hungarian Parliament at night has been selected in the final 12, out of an entry of nearly 1000 photos, in the Viking Cruises calendar competition for 2017 and will appear in their calendar. Now Viking ask for the public to vote for their favourite photo. The winning picture will feature on the cover of the calendar as well as inside, and the photographer will win a fabulous 15-day Viking Homelands ocean cruise for two! If you would like to awn a copy of this either as a framed or acrylic print, a canvas or metal print or even on a tote bag or a shower curtain, or a simple greeting card, just click on the photo where you will be able to see the many options available. 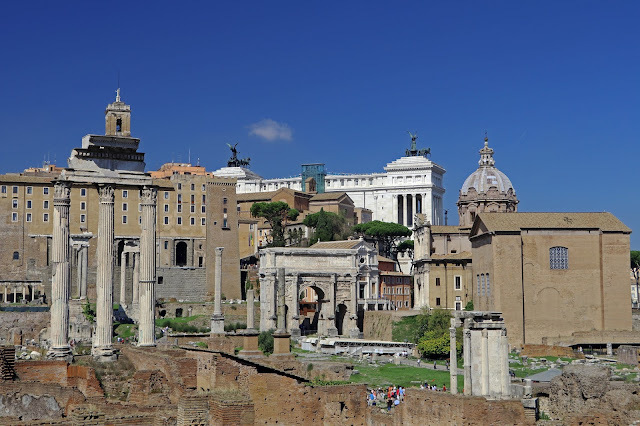 Following my previous post, here are a further selection of images depicting The Eternal City - Rome. We ended the last post in the Vatican City, and we stay there for our first image, the Piazza Cavour. Piazza Cavour showing the Palace of Justice. Designed by the Perugia architect Guglielmo Calderini and built between 1888 and 1910, the Palace of Justice is considered one of the grandest of the new buildings which followed the proclamation of Rome as the capital city of the Kingdom of Italy. The foundation stone was laid on 14 March 1888. On 11 January 1911, twenty-two years after construction began, the building was officially opened in the presence of the King of Italy, Victor Emmanuel III. The monument in the center of the square is to C.Cavour, one of the most important personalities in Italy's unification. 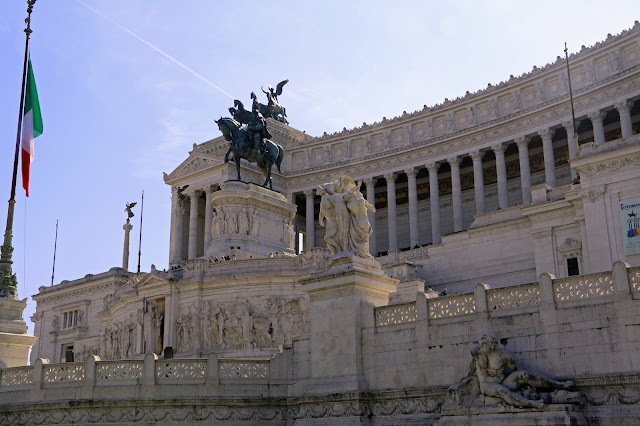 The monument (by S.Galletti) was erected in 1895 on occasion of the 25th anniversary of Rome as capital of the state. Leaving the Vatican, we cross the Tiber again and make our way to the Piazza Del Popolo. The Piazza del Popolo looking west from the Pincio. The Piazza is a large urban square the name of which in modern Italian literally means "People's Square", but historically it derives from the poplars (populus in Latin, pioppo in Italian) after which the church of Santa Maria del Popolo, in the northeast corner of the piazza, takes its name. The piazza lies inside the northern gate in the Aurelian Walls, once the Porta Flaminia of ancient Rome, and now called the Porta del Popolo. This was the starting point of the Via Flaminia, the road to Ariminum (modern-day Rimini) and the most important route to the north. At the same time, before the age of railroads, it was the traveller's first view of Rome upon arrival. For centuries, the Piazza del Popolo was a place for public executions, the last of which took place in 1826. There are two fountains in the Piazza, one on the east side and one opposite on the west side of the square. The Fontana del Nettuno (Fountain of Neptune), a monumental fountain located in the Piazza del Popolo. It was constructed in 1822-23 at the terminus of a newly built aqueduct, the Acqua Vergine Nuovo. The fountains in the Piazza del Popolo were the work of Giovanni Ceccarini. The Fontana del Nettuno is located on the west side of the square, and shows Neptune with his Trident, accompanied by two Tritons. The fountain of Rome Between the Tiber and the Aniene, designed by Giovanni Ceccarini, found on the eastern side of Piazza del Popolo against the boundary wall of the piazza features the goddess of Rome in the center with her lance and helmet, with allegorical figures representing the river gods Tiber (holding a cornucopia) and Aniene (a tributary of the Tiber) on either side. A she-wolf lies at her feet suckling Romulus and Remus, the founders of Rome. A small pedestal fountain is below the statues, which overflows into a large pedestal fountain beneath it, which overflows into a large basin beneath it. At the top of the edges of the basin are sets of two fish with their bodies twisted around each other. Behind this fountain you can climb steps that lead to the Villa Borghese gardens at the top of the Pincian Hill. On leaving the Piazza Del Popolo we move south to the Spanish Steps. The Spanish Steps ( Scalinata di Trinità dei Monti) are a set of steps in Rome, Italy, climbing a steep slope between the Piazza di Spagna at the base and Piazza Trinità dei Monti, dominated by the Trinità dei Monti church at the top. The monumental stairway of 135 steps (the slightly elevated drainage system is often mistaken for the first step) was built with French diplomat Étienne Gueffier’s bequeathed funds of 20,000 scudi, in 1723–1725, linking the Bourbon Spanish Embassy, and the Trinità dei Monti church that was under the patronage of the Bourbon kings of France, both located above — to the Holy See in Palazzo Monaldeschi located below. The stairway was designed by architects Francesco de Sanctis and Alessandro Specchi. I have recently returned from my fourth visit to Rome, a city that I never tire of and I am pleased to share the following photos with you and hope you will be inspired to visit there yourself. 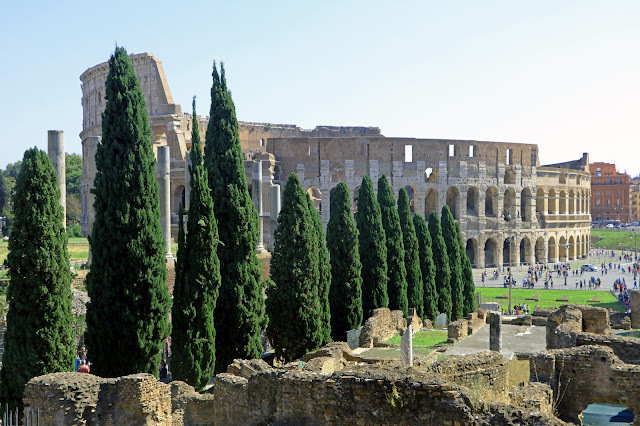 The first image is of the Colosseum, followed by three of the neighbouring Roman Forum. 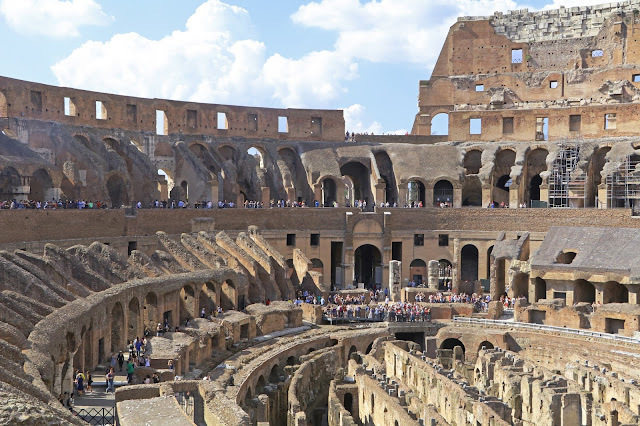 The Roman Colosseum or Coliseum, originally known as the Flavian Amphitheatre, was commissioned in AD 72 by Emperor Vespasian. It was completed by his son, Titus, in 80, with later improvements by Domitian. The Coliseum looking back from the Roman Forum. The Temple of Castor and Pollux, to the right, is an ancient temple in the Roman Forum, Rome, Italy. It was originally built in gratitude for victory at the Battle of Lake Regillus (495 BC). Castor and Pollux (Greek Polydeuces) were the Dioscuri, the "twins" of Gemini, the twin sons of Zeus (Jupiter) and Leda. Their cult came to Rome from Greece via Magna Graecia and the Greek culture of Southern Italy. 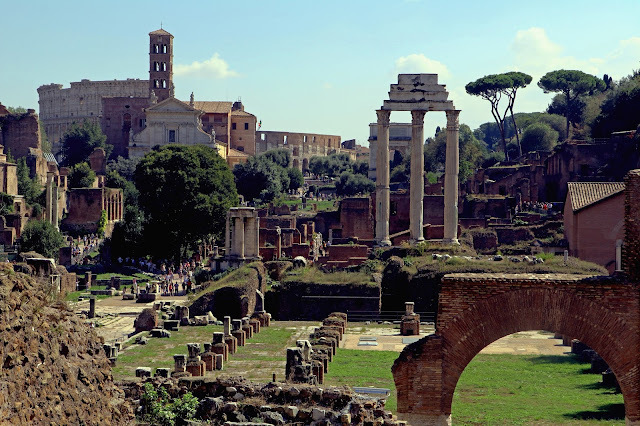 Roman Forum showing the Arch of Septimius Severus in the centre of the photo with the Temple of Castor and Pollux to the left. In the background can be seen the white top of the Vittorio Emanuele II Monument. The Altare della Patria, also known as the Monumento Nazionale a Vittorio Emanuele II ("National Monument to Victor Emmanuel II") or Il Vittoriano, is a monument built in honour of Victor Emmanuel, the first king of a unified Italy, located in Rome, Italy. It occupies a site between the Piazza Venezia and the Capitoline Hill. The eclectic structure was designed by Giuseppe Sacconi in 1885; sculpture for it was parceled out to established sculptors all over Italy, such as Leonardo Bistolfi and Angelo Zanelli. It was inaugurated in 1911 and completed in 1925. The Vittoriano features stairways, Corinthian columns, fountains, an equestrian sculpture of Victor Emmanuel and two statues of the goddess Victoria riding on quadrigas. The structure is 135 m (443 ft) wide and 70 m (230 ft) high. If the quadrigae and winged victories are included, the height reaches 81 m (266 ft). It has a total area of 17,000 square metres. We now move across the River Tiber, towards Vatican City. 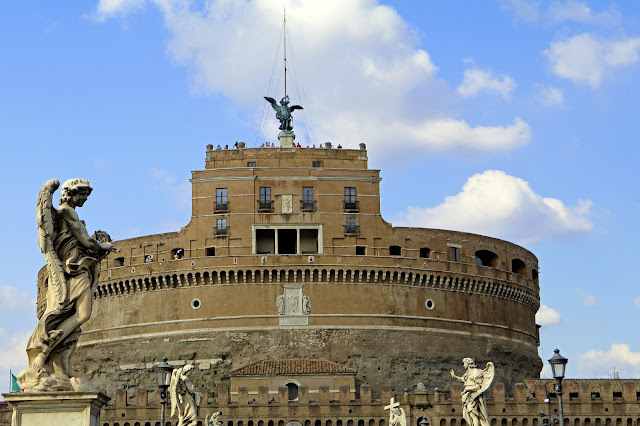 The Mausoleum of Hadrian, viewed from the Ponte Sant' Angelo, is usually known as Castel Sant'Angelo, the Castle of the Holy Angel, is a towering cylindrical building in Parco Adriano, Rome, Italy. It was initially commissioned by the Roman Emperor Hadrian as a mausoleum for himself and his family. The building was later used by the popes as a fortress and castle, and is now a museum. The Castle was once the tallest building in Rome. The Papal Basilica of St. Peter in the Vatican (Basilica Papale di San Pietro in Vaticano), or simply St. Peter's Basilica, is an Italian Renaissance church in Vatican City, the papal enclave within the city of Rome. Designed principally by Donato Bramante, Michelangelo, Carlo Maderno and Gian Lorenzo Bernini, St. Peter's is the most renowned work of Renaissance architecture and one of the largest churches in the world. 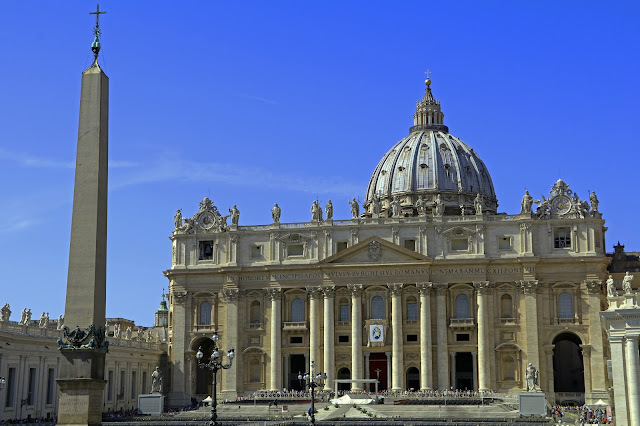 While it is neither the mother church of the Catholic Church nor the cathedral of the Diocese of Rome, St. Peter's is regarded as one of the holiest Catholic shrines. It has been described as "holding a unique position in the Christian world" and as "the greatest of all churches of Christendom". Look out for my next post on Rome. Today, guest blogger Kyle Ward gives his thoughts on what photography gadgets you need to make your travelling terrific. If you are a photography lover, and you want to capture the finest places in your travel, then you should make sure first, that you have all the essentials. You might not pay attention to petty things like batteries or hard drives because these are so obvious, but if you don’t have these things, it can cause you a lot of trouble. Here is a list of photography gadgets that will make your traveling terrific. There must be at least one item in your kit that needs AA or AAA batteries, and I have no doubt about it. Once you have reached your destination, the last thing you want to do is to run here and there in search of batteries. There was a time when people used different rechargeable batteries, but when Panasonic introduced Eneloop, most people switched to it. The best thing about these Eneloop batteries is that you can place them unused and they will maintain the amount of energy – no matter how long placed. Batteries which were used previously lost their power over time. Panasonic claims, even after the stagnation of one year, these batteries will maintain 85% of power – which is quite fantastic. It is the most obvious thing that if you are continuously clicking pictures, then certainly you will have to store those photos. Most people just rely on whatever they get, in order to save some money. But if you are conscious about the data you capture, then you should go for something that is reliable. Even a little damage or a fall can destroy the ordinary drives, and all your hard work is undone in a minute. There are rugged hard drives available in the markets which are so reliable and durable. You wouldn’t believe, but I have a rugged drive with me which has dents all over it, and it seems as if this drive has been to war, but it is still working properly. You should have at least two such drives. If you think that the place you are going will have the fast internet connection, then you can also upload your data to the cloud – provided the speed is excellent. Prime lenses were once the must-have things for the photographers, but nowadays, the situation has changed. In modern cameras, Canon has plenty of zoom options to pick from. Nikon also has the same options, and people are focusing more and more on zooms instead of primes. I suggest you also pick prime lens because you will find many places where there will be a little light, and in these cases, the prime lens would be of great help. The second reason is that the prime lens offers a shallower depth of field if you place the aperture at the wider end. These aren’t the big things that you are afraid to carry with, only because these will increase the weight of your luggage. You can easily place three of these adapters in your pocket without any difficulty. You can have branded product like kikkerland, but you can also choose other products. These adapters are originally made in Japan, and you have to import them from the manufacturer directly. Thank God, in recent days, few western companies have seen some value in it. The power strip is a must-have thing because many hotels have only one socket, and if you want to charge more than one thing, there will be trouble. At the same time if you are on a Safari, then you will probably be using a generator, and most generators only have one socket. The power strip will make you able to charge more than one things simultaneously. But, you should always choose a power strip keeping in mind the quality. The best option is to choose those which can take up to 240v. Most areas use only 110v and others more than that. In areas which use voltage more than 110v, the traditional strip will get fried instantly. Many branded strips are cheap and you can easily get them from a nearby store. If you are looking for some discount on multiple products, you can explore Groupon. It is a very convenient thing especially for those who know the trouble of having only one socket in a hotel room, and worst of all, which is under the bed. In these cases, your mobile phone ends up charging on the floor, under your bed. The reason is that most of the hotels were designed before the invention of these gadgets. This device has five USB slots which mean you can charge five things at the same time. From the practical point of view, by using this device you won’t forget USBs or other data cables behind because you placed them under the bed attached to the only socket in the room. If you are traveling with lots of gadgets with you, then you should also consider how to arrange these devices and place them accurately. For this purpose, you will need a bag. Ordinary bags are least suitable. The Peak design field pouches are best for these scenarios and keep all your things organized because these bags have distinct pockets. The amazing thing about these bags is that these also have some hidden pockets and you can place your valuables there. There are six different sized and different shaped pockets which help you put a thing in a suitable place. You can also think of getting some cards and card readers which will give you some extra memory. Prefer the standard products like Sandisk. Make sure you have a USB-form reader because it is a more standard form than others. Camera rain cover is a must have a thing because you surely want to protect your camera and who knows when will there be rain. In many areas, rain is a dangerous occurrence, especially in monsoon seasons. This rain cover will let you get the finest shots in the rain as well as it will protect your camera from the rain. This guest post is written by Kyle Ward, who works at Rebates Zone, and in his spare time he loves Yoga, hiking and playing instruments.